Our state-of-the-art simulation labs in both Harrison and Mt. Pleasant allow students to practice nursing skills without leaving campus. 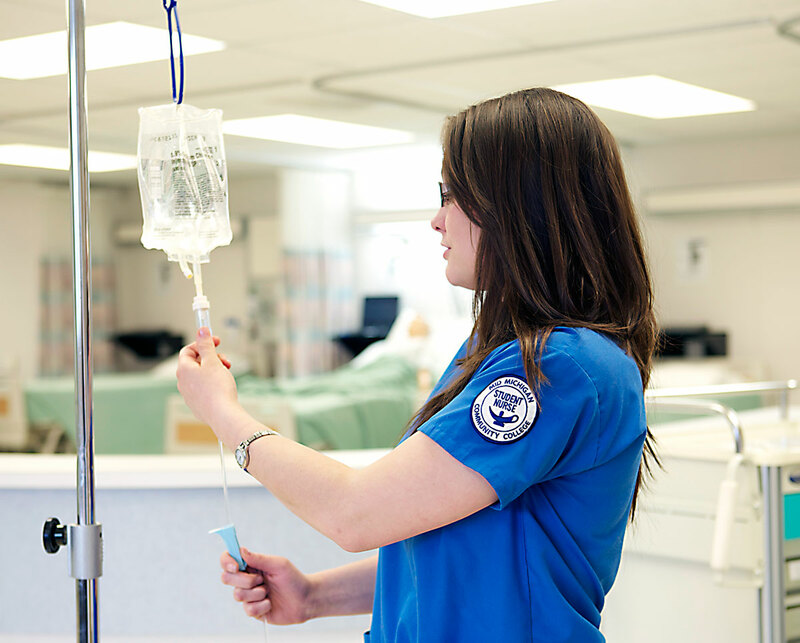 MMCC nursing students gain clinical experiences in both acute care and long-term care facilities. Students are prepared for entry-level Associate Degree Registered Nurses, ready to begin employment immediately after graduation. Upon graduation, our students are eligible to sit for licensure by taking the NCLEX-RN exam. MMCC students average 80%-90% pass rates on this test. 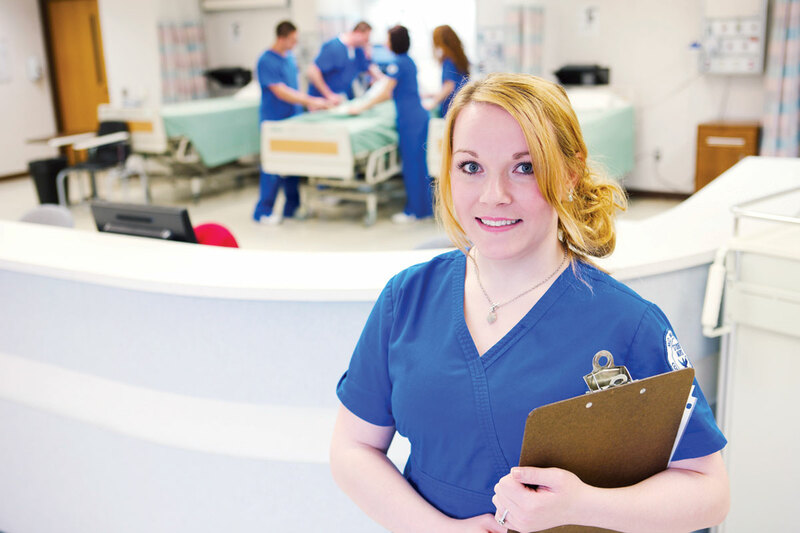 In 2010, MMCC transitioned from a wait list-based nursing program to selective admissions. The college welcomes 220 nurses each year, based on the strength of their applications to the program. Registered Nurses are nurses involved in direct patient care. These health care professionals assess patients, help to design and carry out treatment plans, monitor the results of treatments, and keep patients and their families informed about their medical options and health issues. National Average: $71,000/year. MI Average: $67,690/year. Employment Outlook (2014-2024)*: 16% - Much faster than average. * Information from U.S. Bureau of Labor Statistics, 2014 figures. NOTE: All NUR courses in a semester must be passed with a minimum grade of “78%” to progress to the next semester. BIO 138 (or BIO 141 & BIO 142 each) must be passed with a minimum grade of “B‐“ to enter the program. BIO 141 & BIO 142 courses must also be taken at the same institution. If students have taken BIO 138 (or BIO 141 & BIO 142) courses prior to admission to the Nursing Program, the courses must have been completed within five (5) years of the date the student formally begins the Nursing Program. Prerequisites may be repeated only once, which includes withdrawals. 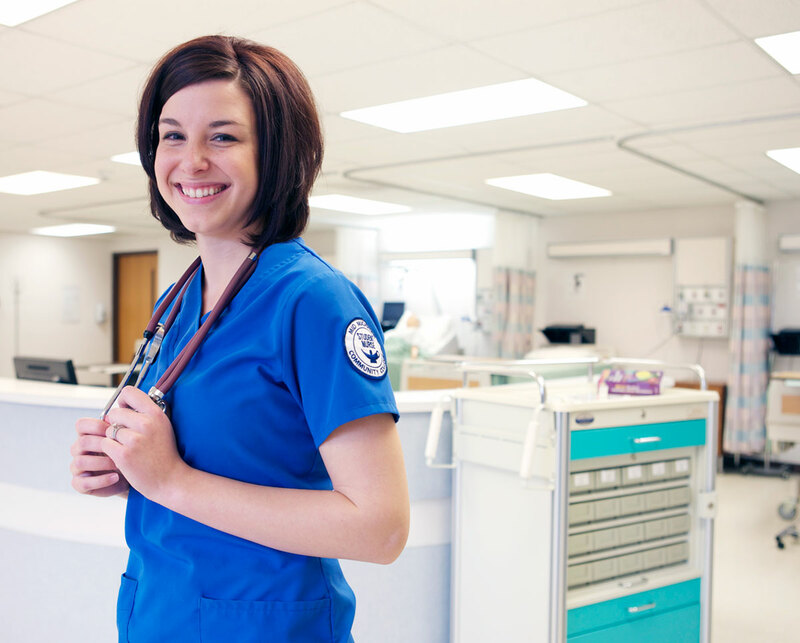 MMCC has a selective admission process to the nursing program. This involves several application processes and steps. Students are only eligible to apply for the nursing program AFTER prerequisite courses are completed. Completion of all prerequisites courses listed on the Curriculum Guide with a minimum grade of “C” with the exception of BIO 141/142 or BIO 138 which requires a minimum grade of “B-“. BIO 141 and BIO 142 must be taken at the same school. Anatomy and Physiology courses cannot be older than five years from the date the student formally begins the program. Prerequisites may only be taken twice and withdrawals count as an attempt at taking the class. MMCC admits nursing students twice a year: a Fall semester cohort at the Harrison campus and in Winter semester cohort at the Mt. Pleasant campus. When students have their prerequisite courses completed, they are then eligible to apply to the cohort of their choice. Students in the MMCC Nursing Program are expected to maintain a satisfactory level of mental and physical stability to enable and ensure a safe and competent level of functioning.